I made the switch to Mac for development around a year ago, and it’s awesome. Whilst I don’t agree with many of the policies and ideas that run Apple, they do have a damn good and fast OS, and some incredible hardware. Everything always feels super responsive, and with OSX you get a proper terminal since it’s basically a fancy linux distro. It is also a fancy linux distro with actual software support. Everything I need to work with designers or clients I can run without a damn VM, even Office 2016 now mostly works on OSX. In this article I will share some of the tools I use every day for development, not necessarily the best software, but definitely the best for me! XCode is not only a handy IDE for iOS development, but installs a bunch of essential tools with it like ruby, python, perl and a bunch of compilers for, as an example, the C family of languages. If you don’t want to install the IDE unnecessarily you can simply install the command-line tools. No need to find the correct download page, or link, or anything. to fix permission issues due to apple’s new SIP process. Zsh is a shell tool that provides a much improved terminal experience. It allows you to take advantage of features like improved auto completion, Git and Mercurial status in-line, completions, and interactions. OhMyZsh is a community configuration that gives you an easier way to configure the shell and a default configuration for zsh to start seeing the advantages immediately. As a modern web developer we still use a lot of the good old terminal. 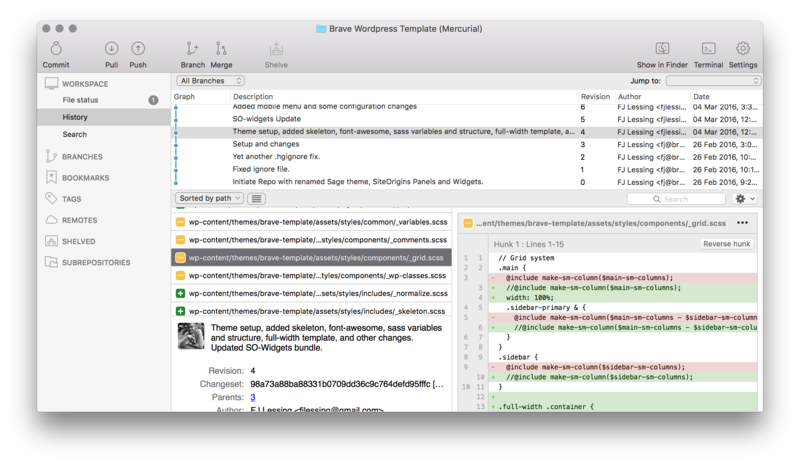 Grunt and Gulp are two competing task-runners to ease your development process. They can be set up to run all the commands you don’t want to, for example automatically run compilers when there are changes to your files, as well as provide you with other tools to enable the development process. Grunt and Gulp perform the same base functions, and are interchangeable tools depending on your requirements and codeferences. While both these task-runners exist in a state of rivalry, the difference to the end user is one of semantics. Your choice should be based on the syntax you codefer, and that should become apparent when you have tried both. I’m not sure if you know this, but text editors are kind of a big deal to developers. Developers get really stubborn about what they use and what they like. There are a bunch of options, however at the moment I really enjoy Atom from Github. 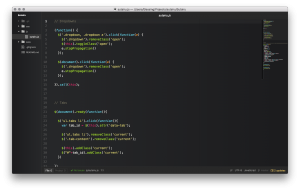 Atom is Open Source and insanely customizable. It’s a developed by the guys from Github, to give it some net-cred and contributed to by loads of developers. With version 1.0 it’s become mostly stable, and delivers on the promise of a hackable text editor. Slack is a chat application that provides integrations with everything. It allows you to communicate with your team, send code snippets with syntax highlighting, and sweet gifs. It’s simple yet extremely functional. Typora is a Markdown text editor. This is another simple piece of software that I use to write in. Markdown has become the codeferred syntax for documentation, probably due to Github’s use thereof. I like it because it can be easily compiled to simple html, that can be easily styled. 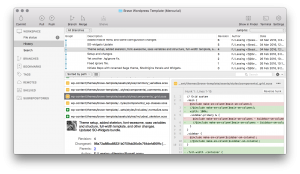 SourceTree is a Git and Mercurial client that helps you manage your repos visually. It provides a great interface to manage your repositories. It seamlessly manages your files and provides you with visual comparisons of your changes. XAMPP is a server development environment, it allows you to quickly deploy a web server on your local machine for development. I personally codefer setting up a LAMP stack by manually installing Apache and MySQL if required, but XAMPP is much faster and easier. 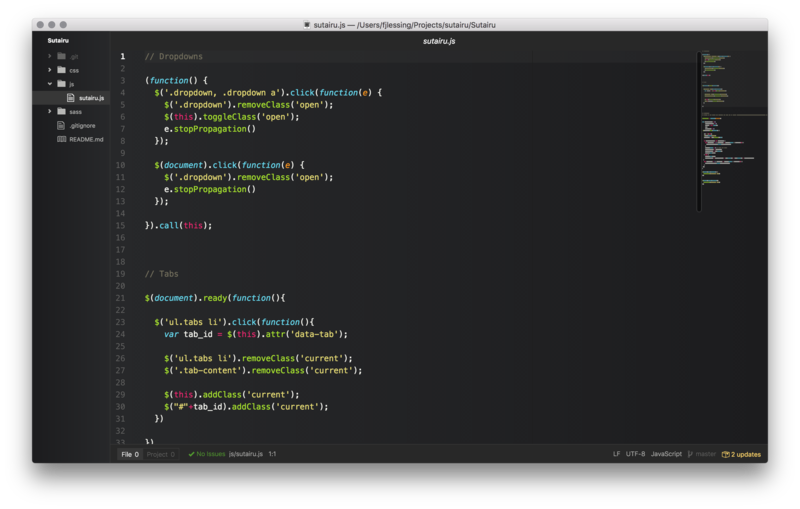 There are a lot of apps and software out there to, like Sketch, Caffeine and all of the Jetbrains IDE’s, to further enable you to develop easily. The best way to improve your development environment remains poking at it till it works for you. It’s not about using the most current, talked about software, It’s about using what works well for you.